The Seattle Symphony commissioned John Luther Adams' Become Ocean in 2011 and Ludovic Morlot conducted the orchestra in the world premiere in Seattle in June 2013 and the New York premiere in May 2014. The piece, which makes a powerful statement about climate change, won the 2014 Pulitzer Prize for Music. 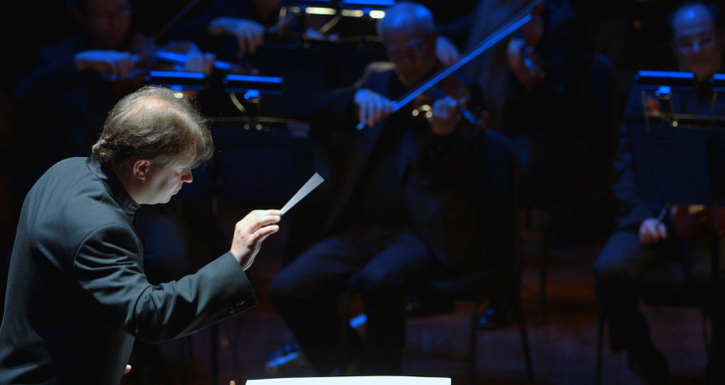 The Seattle Symphony’s recording won the 2015 Grammy for Best Contemporary Classical Composition, and also received a 2015 Grammy nomination for Best Orchestral Performance and Best (Classical) Engineered Album, iTunes Classical Album of the Year for 2014 and best-of lists from NPR, The New York Times, The Boston Globe and The Daily Beast. Become Ocean was released on the Cantaloupe Music label, in CD and digital formats, as well as DVD (5.1 surround mix) on September 30, 2014. The album is available on iTunes and Amazon. The Seattle Symphony’s commission of Become Ocean was generously underwritten by Lynn and Brian Grant.